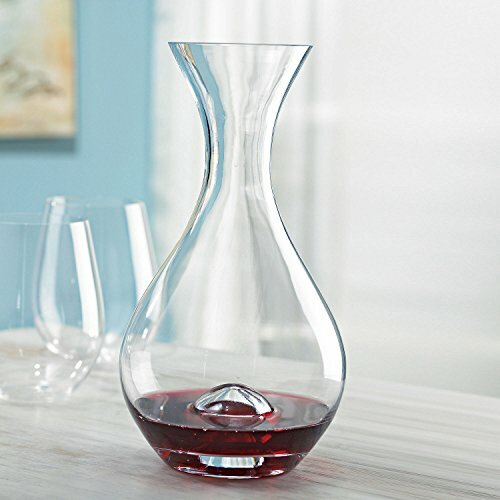 The elegance of the Wine Enthusiast lead-free crystal "U" Decanter enhances your wine experience with an inner dome to increase the oxygenation of fine wines. The finger-hold punt ensures controlled pouring every time. Gift Boxed. Recommend to hand wash. Size: 10-3/4"H, 46 oz.